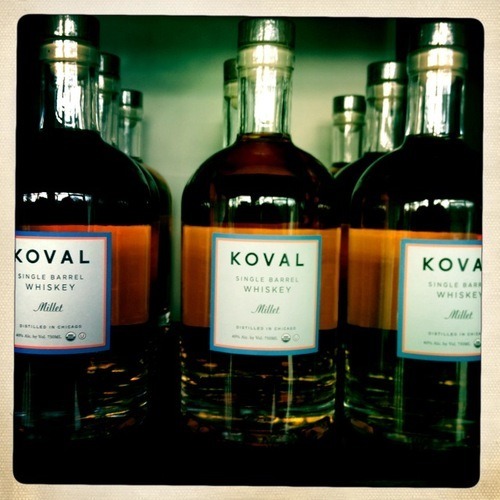 I’d been hearing quite a bit lately about Koval Distillery, the first craft distillery to open within the Chicago city limits since Prohibition. So while my husband and I were in the city recently for WhiskyFest, we made a point to stop by. 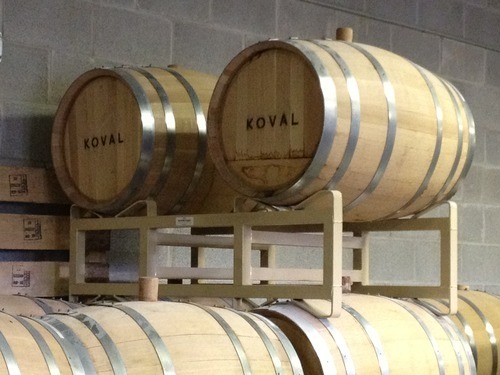 Koval is located at 5121 N. Ravenswood Ave. in a quiet, tree-lined neighborhood on the border of the Ravenswood and Andersonville neighborhoods. It’s kind of an unassuming building – be careful or you might drive right past it! We didn’t, though, and we arrived just in time for the 5 p.m. Saturday tour. It was led very capably by the unflappable Annie, who wasn’t thrown by the (very) staggered arrival of the members of a bachelor party group or by the showoff from Kentucky who couldn’t resist answering some of the questions Annie asked us (for example, Where does bourbon have to be made? The United States – not just Kentucky, as many people think). Annie explained the difference between white, or unaged, whiskey and aged whiskey and then let us sample several of the distillery’s products, including their new bourbon, made from a mash bill of corn and millet. 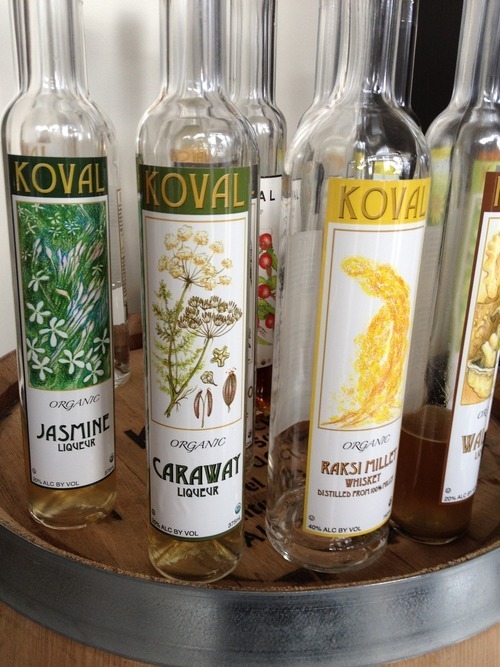 It was good, but what I really fell in love with was Koval’s liqueurs. I brought home bottles of Rose Hip and Orange Blossom and can’t wait to try them in cocktails. 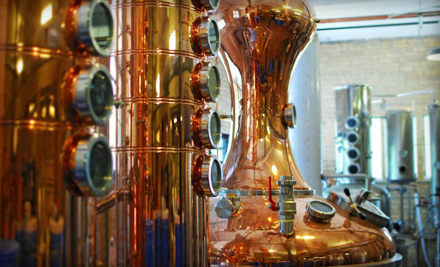 Tours of Koval are $10 and are generally scheduled every Wednesday at 7 p.m., Saturday at 1, 3 and 5 p.m. and Sunday at 2 and 4 p.m. Those times are subject to change, though, so check the distillery’s website before you go. In fact, it’s a good idea to register and prepay on the website to make sure you get on the tour you want.